We have this same word and various forms of "change" from Arabic (مبدل and تبدیل)in Farsi. The Grandverbalizer19 is a Muslim, who has a blog that is full of attacks against the Bible and contains many Ad hominem arguments and seems really judgmental; and many times has very choppy and unrelated thoughts thrown together. He accusses me of dishonesty and being a liar when I write something he disagrees with on Islam. He has a special dislike for Calvinism and Reformed Theology. He makes a lot of ad hominem and judgmental attacks against Dr. James White. The Grandverbalizer19 attempts to refute this; but his argumentation fails. I include part of my answer at his combox here; and have added more for this article. "Now do you people see the above verse telling Muslims to go and read the Gospel? I mean honestly? What I see is that Allah is asking the Prophet Muhammed (saw) to ask LITERATE people about information given to him IF he was had doubt. Now if this verse of the Qur'an was exorting Muslims to 'read the Gospel' why would than you need to ASK people what it says? Also where do you find the word Injeel in the Arabic text? This to me is simply a dishonest attempt by Ken and Turretinfan to have meaningful understanding of the text." من = (min) = from; قبل = (qabl) = before; ک on the end = "you"
Say ye: "We believe in Allah, and the revelation given to us, and to Abraham, Isma´il, Isaac, Jacob, and the Tribes, and that given to Moses and Jesus, and that given to (all) prophets from their Lord: We make no difference between one and another of them: And we bow to Allah (in Islam)." For them are glad tidings, in the life of the present and in the Hereafter; no change can there be in the words of Allah. This is indeed the supreme felicity. "And dispute ye not with the People of the Book, except with means better (than mere disputation), unless it be with those of them who inflict wrong (and injury): but say, "We believe in the revelation which has come down to us and in that which came down to you; Our Allah and your Allah is one; and it is to Him we bow (in Islam)." The people of the book are the Christians and the Jews. Surah 9:29-30 says this also. Many other verses in the Qur’an teach this. You should not use the word, “dishonest” or "liar" in your argumentation with me. I am not being dishonest. I sincerely believe that the Qur’an and Muhammad misunderstood Christianity and that he really thought the previous revelations were not corrupted. You can disagree with me, etc., and say I am wrong and seek to prove I am wrong, but I am bringing forth evidence from the Qur’an itself that shows that at the time of Muhammad, he did not believe the Bible (OT and NT) was corrupt. But you should do better in the way you argue points. Obviously, Muhammad thought the revelations had the same basic message; and later, when Muslims began to study more of the details of the OT and the NT, they realized that there are differences in the teachings, so it is then that they had to come up with the idea of “Tahreef” تحریف , that the text of the previous revelations have been corrupted. But the Qur’an itself never says this. Internal inconsistencies such as these abound in the Qur'an. May God have mercy on Muslims, who reveal their idolatry in worshiping a self-contradictory god! Though you and I certainly do not always agree on our interpretation of the Bible, and the Qur’an, we are certainly in agreement on what the Qur’an teaches concerning the validity of the Bible that was extant during Muhammad’s time. IMO, the corruption spoken of in the Qur’an concerning the “people of the Book” pertains to interpretation of the extant text, not the actual text of the Bible itself. Me: I see no “internal inconsistenices”, concerning the Qur’anic ayat that Ken posted above; could you clarify? The "such as these" I said referred to the phrase "no one can change the words of Allah" in one place in the Qur'an, other citations in the Qur'an telling us that Allah spoke the Taurat and Injeel, and then on the other side Surah 4:157. The only conclusion the reasonable person could draw is internal inconsistency. That's what I meant. Does that make sense? >>The "such as these" I said referred to the phrase "no one can change the words of Allah" in one place in the Qur'an, other citations in the Qur'an telling us that Allah spoke the Taurat and Injeel, and then on the other side Surah 4:157. The only conclusion the reasonable person could draw is internal inconsistency. Me: To be honest, not really. An “internal inconsistency” concerning the Qur’anic teaching that “no one can change the words of Allah”, would exist if the Qur’an also stated that the words of Allah have been successfully changed, which, as Ken has rightly deduced, it does not say. Surah 4:157 does seem to say that they did not kill Jesus nor was He crucified, and yet Allah made it appear that He was crucified and killed, thus deceiving the Jews (Surah 3:45), the Romans and all the Christians too, for the Christians taught this from the beginning. I think Rhology is right that in that the Qur'an affirms the Bible (OT and NT), yet it contradicts the Bible on many points; and it does not know what Bible really says and doesn't seem familiar with many parts of the Bible. It seems to me that that book you reviewed is just playing with words and getting the opposite meaning of what is clear; kind of like the homosexuals arguing that the bible really doesn't not condemn homosexuality, when it fact it does. There are many other passages in the Qur'an that do contradict the Bible's teachings, so there are a lot of internal inconsistencies. 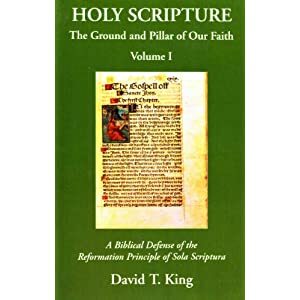 However, on the point of corruption, it doesn't say the text of the previous Scriptures have been corrupt; however, Muslim theologians use some other verses to say that it does. >>Surah 4:157 does seem to say that they did not kill Jesus nor was He crucified, and yet Allah made it appear that He was crucified and killed, thus deceiving the Jews (Surah 3:45), the Romans and all the Christians too, for the Christians taught this from the beginning. Me: I must disagree Ken. The 4.157 verse is, once again, a complex one. If one is to appeal to a passage of like nature in the Bible, I think Phil. 2:6-8 is a much better candidate, for this passage exhibits many of the same type of complexities that exist in the 4.157 Qur’anic verse—wa-mā qatalūhu wa-mā salabūhu wa-lākin shubbiha lahum is the only passage in the Qur’an that actually mentions the crucifixion, and Phil. 2:-6-8 is the only passage in the Bible that mentions Jesus as being in the “form of God”, as well as the famous kenosis phrase, “emptied himself”—such complexities (grammatical, lexical and theological) have created a good deal of interpretive diversity. I disagree with you and Lawson and the others you have quoted. In the quotes you have provided, both here and at your blog, they don't really explain how it doesn't teach against the death of Jesus, only that it doesn't really teach against death of Jesus. I suppose they put 19:33 and a part of 3:55 as the controlling idea of how to understand 4:157. However 3:54 and 55 together with the deceptive plans of those who are going to kill Jesus and the more skilled Allah in His deception, would favor the traditional 4:157 interpretation; namely, that Allah tricked the Jews into thinking they crucified and killed Jesus. And consequently, the Romans and Christians and all of history was tricked also! The contradiction is because Islam itself is a false religion and when it sought to claim that is was completing the other 2 previous monotheistic religions, it innately became contradictory on itself and to history. Surah 4:157 seems pretty clear, along with 3:54-55, that Allah deceived them into thinking they killed Jesus. This would have to include both the Jews and the Romans and the Christians, because all the Christians from the beginning believed in the death of Jesus. The view you are espousing does not seem to deal with 3:54 that Allah deceived them and He is the best of all deceivers; and that he would make the followers of Jesus the victorious ones; ie in the Islamic view, the first disciples of Jesus were monotheistic like Hannifs and not Trinitarian nor believing in the Sonship of Christ, nor His Deity. Philippians 2 is clear in teaching the Deity of Christ. It is amazing to me that one who claims to be a Christian would imbibe interpretations that seek to overcome the teaching of the Deity of Christ. Isn't that your Jehovah's Witness background coming through and effecting you? Just wanted to let you know that I have responded to your last post (7:43 PM, July 12, 2010 ), over at ARTICULI FIDEI. I will look at it when I get a chance.